Omaha Hi, or Pot Limit Omaha (PLO), is a game of big hands and even bigger draws. The pot limit betting structure means that crushing pre-flop all-ins are impossible – but that doesn't make it any less exciting. In fact, this is one genre that teaches newbies all about forming the different types of poker hands. Each player is dealt 4 starting cards, making it easier to make (and chase) more draws. And, it's quite common to see three flushes shown down on the river – all in the same suit! If you haven't tried this poker genre, 888poker has an easy 8-Step poker rules guide to show you how to play Omaha. Table positions in Omaha Poker are exactly the same as in Texas Hold'em. However, the betting structure for the majority of Omaha Hi games are in a pot limit format. There are two forced bets, the Small and Big Blinds. The player Under-the-Gun is first to act pre-flop – and just as in Hold'em, position will play a big role in what sort of hands you should play. Newbie Tip: Having 4 hole cards instead of 2 doesn't mean you should play twice as many hands as in Hold'em. Just the opposite! You need to be even pickier about the hands you choose to play. Omaha Hi hand ranking is the same as in Hold'em, with a Royal Flush being the best possible hand. Players must use 2 of their 4 starting cards in combination with any 3 community cards to make a hand. Now for some good news: Having 4 hole cards to choose from means that the average winning hand won't be Two Pair. Straights, Flushes and Full Houses are very common in this poker genre. Newbie Tip: Holding 3 flush cards in your starting 4? You can only use 2 to make a flush, so you've already lost one out! Pre-flop, the player directly to the left of the big blind gets everything into gear. They can fold (not play the hand), call (match a prior bet or raise) or raise (increase size of current bet up to pot). 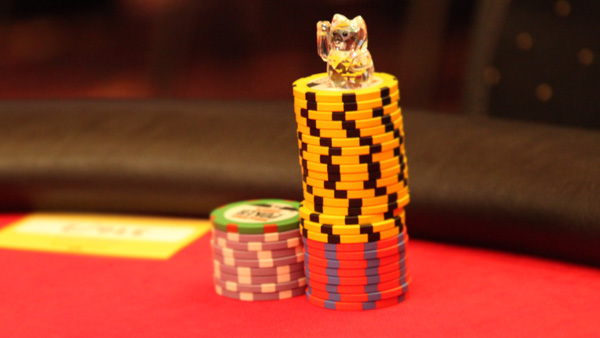 In PLO, the bet amount is set at the lower of the two table limit stakes. The action continues clockwise around the table until each player has had a chance to act. If there is no prior raise, the Big Blind can also check. 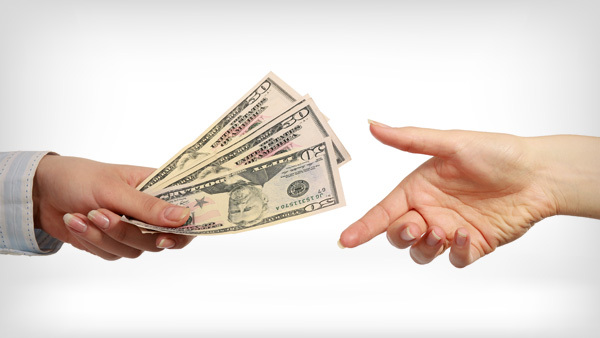 Newbie Tip: Betting stakes in PLO are expressed as $1/$2, with $1 being the lower and $2 being the higher stake. After the pre-flop betting round ends, the first of 3 community cards – the Flop – are dealt out. These cards can be used by all active players to form the best 5-card hand. Betting is still fixed at the lower limit stake. The first active player, seated left of the dealer, kicks off the 2nd betting round. Action continues clockwise around, with every player getting the opportunity to act. Newbie Tip: As is the case in many other poker genres, a big % of your hand is made on the flop, therefore, choose wisely which ones to continue playing. After the flop, a third deal takes place – the 4th community card, also known as the Turn. Like the flop, this card is also is open to use to all active players. During the 3rd betting round, the betting limit is set at the higher stake. Once again, the remaining players have the option to check, bet, call (if there's a bet), raise (if there's a bet) or fold. Newbie Tip: Make sure that you draw to the best possible straights or flushes. It is quite common to see lower straights and flushes get crushed on the River by better ones. The River is the fifth and final community card that is available for all players to use to form their best 5 card hand. Once again, the post -River session is played the same way as the Turn and Flop before it. The remaining players in the hand will be able to act in much the same fashion as before: checking, betting, calling (if there's a bet), raising (if there's a bet) or folding. Newbie Trivia: Omaha High probably originated in the Chicago or Detroit areas in the late 1960's – not Omaha, Nebraska - before making its way to Las Vegas in the early 80's. The Showdown is the next step following the 4th betting round, as long as more than one player remains in the hand. During the showdown stage, each of the remaining players must use 2 of their 4 hole cards + 3 of the 5 community cards to form the highest ranking 5-card hand. The rest is easy: The player with the best poker hand wins. Now scoop in your pot! Newbie Tip: Keep in mind that holding just one card in any suit won't give you a flush. You must use 2 from your starting hand + 3 from the board. Read our ultimate guide for poker showdown. The dealer is ready to deal you into a new hand, but are you? It’s time to put all you've learnt so far to the test and gear up for the next round of Omaha Hi poker. Get ready to bet, call, raise and make that almighty Omaha Hi draw. 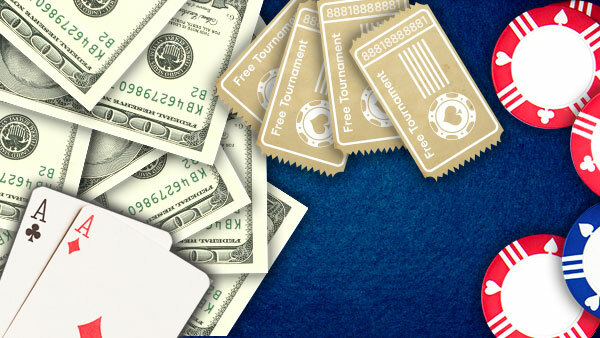 Challenge yourself to learn a new poker game and then challenge the Omaha tables at 888poker! Pot Limit Omaha (Omaha-Hi) Takes Down Hold'em! You get 4 cards to play with, instead of 2, as in Hold'em. Even though you have 4 hole cards, you can only use 2 to make a hand. You can't “play the board”. All flush cards on the board and none in your hand? You don't have a flush. You can have more outs for straights in Omaha – called “wrap outs”. Sometimes as much as 20! Think you get “rivered” a lot in Hold'em? In PLO, it's common to see as many as 3 flushes at showdown – all in the same suit. For the official Omaha Hi rules to the game, including all terms and conditions, please click here.